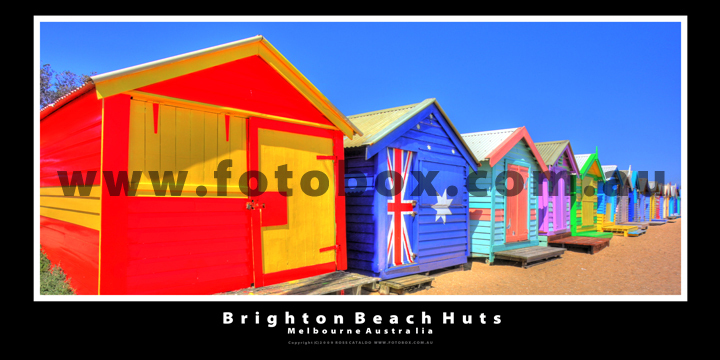 Image Information " The noted bathing boxes at Brighton in Australia are known to have existed as far back as 1862.The bathing boxes are thought to have been constructed and used largely as a response to the Victorian morality of the age, and are known to have existed not only in Australia but also on the beaches of England, France and Italy at around the same time.While many beach huts are former fishermen's huts or boatsheds, some of the earliest purpose built beach huts in the UK were erected at Bournemouth, either side of Bournemouth Pier in around 1908 or 1909. Designed by F. P. Dolamore, Bournemouth's Borough Engineer, they were offered for hire for £12 10s per year. 160 huts, or bungalows as they were styled, were initially built before the first world war. Their design remains unchanged to this day. The Council believes that some of the original 1909 huts are still standing, although the majority were renewed in the 1950s and 1960s. Today, Bournemouth features around 520 huts owned by the Council, of which over 250 are available to hire by the day or week. There are in addition a further 1200 privately owned huts."